In last week's tip, we looked at curtains, headings, hanging options and poles. 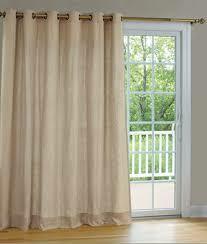 In addition the types of curtains the fabric is of huge importance and there are lots of issues to consider. Choice is all about colour, design and preference for hanging. 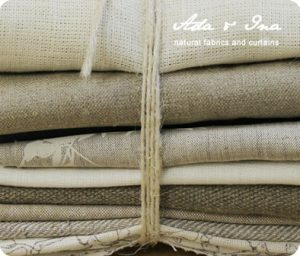 The right fabric with the correct sizing can greatly enhance any room. Read more here. How much space have you got on each of side of the window? If you only have a little, it would be inadvisable to use a heavy fabric as it would just block the window when it is pulled back. 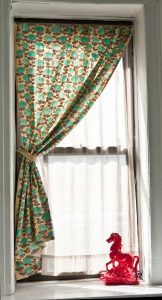 If you have a room where the window goes right up to the wall, a curtain pulling back to one side only used. This is called a one way draw and can look very clean and elegant. 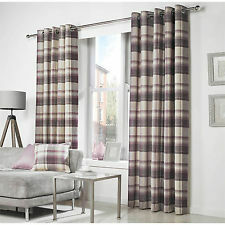 It works particularly well on french or patio doors or in smaller rooms such as children's bedrooms. If you choose a patterned fabric be aware that the fabric of the design that you love so much will disappear in the pleats. 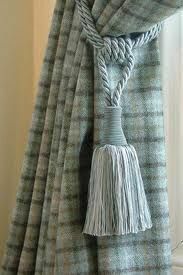 Lots of plane coloured fabrics have wonderful textures so you can choose velvet, linen, chenille, silk, tweed and cotton. Choice is all about colour, design, preference for hanging. 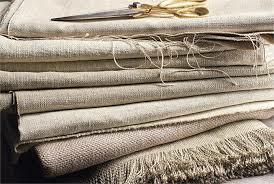 The right fabric with the correct sizing can greatly enhance any room. Read more here. 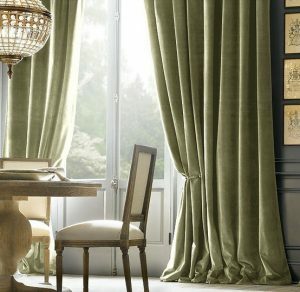 Call me on 01 294 3675 to discuss fabrics, colours and options for any of your rooms or email me here.